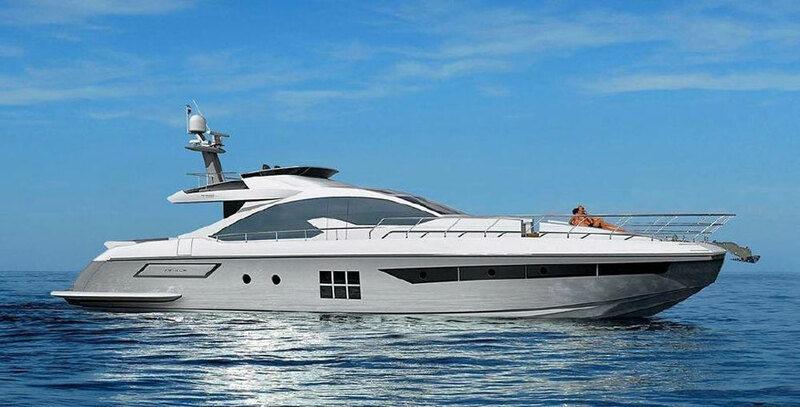 For 2016 Azimut introduces the largest of their sharp-looking Magellano line. 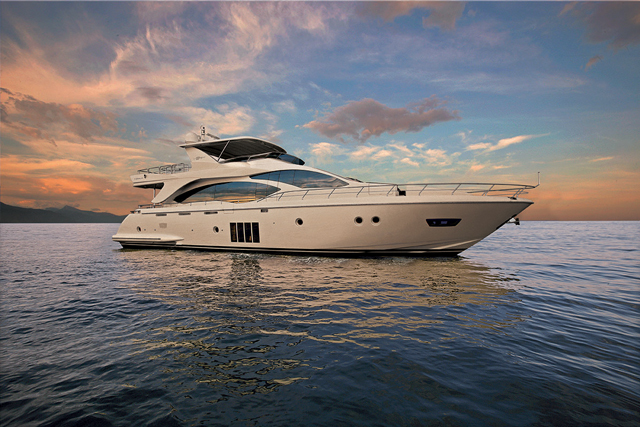 Azimut introduced a new flagship of the Megallano line at the Fort Lauderdale International Boat Show, the Azimut Magellano 76. 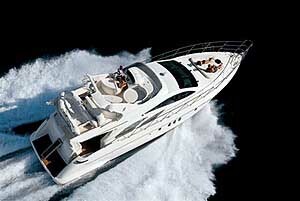 This is an impressive cruiser with good range and snappy looks. But don’t take our word for it; join us as we take a quick look at the boat on film. 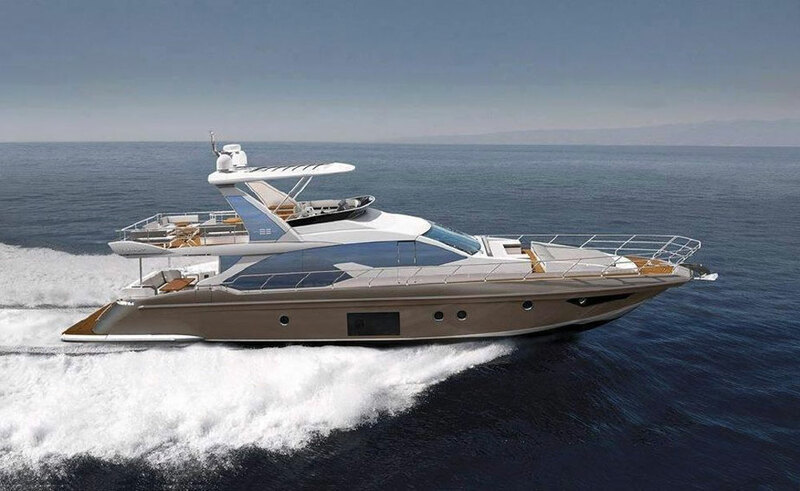 The Magellano 76 will be able to cruise at displacement speeds of 11 knots for maximum range but when up on plane, she’s expected to run at 22 knots. 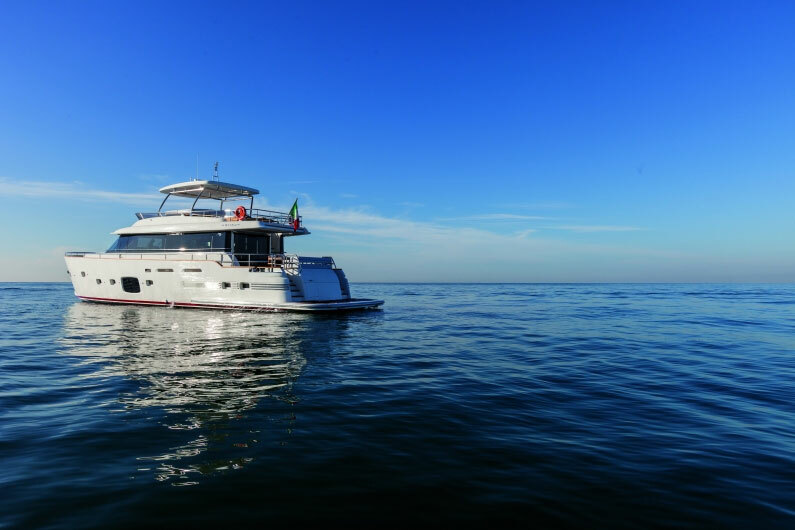 Powered by twin 1,000 HP MAN V8s, the versatile hull is also stylish as all things Italian must be. 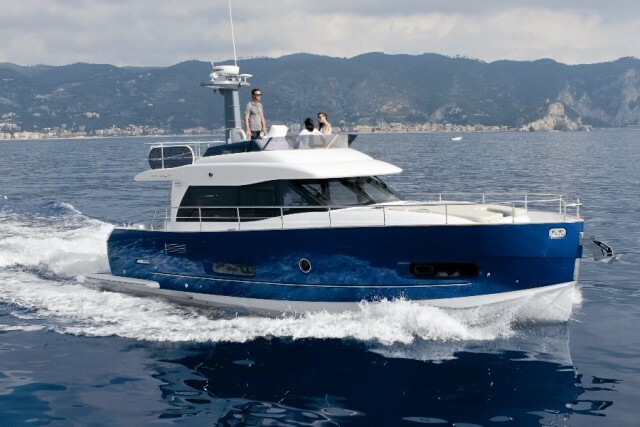 The Magellano 76 is a mix of traditional lines and a sleek modern flair. 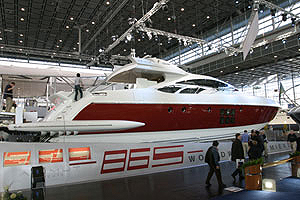 Stepping inside, we noticed how you can see from the glass slider at the cockpit all the way to the windshield forward—and this gives the boat a real feeling of length and space. A dining table for eight is to port across from the U-shaped settee in the saloon. 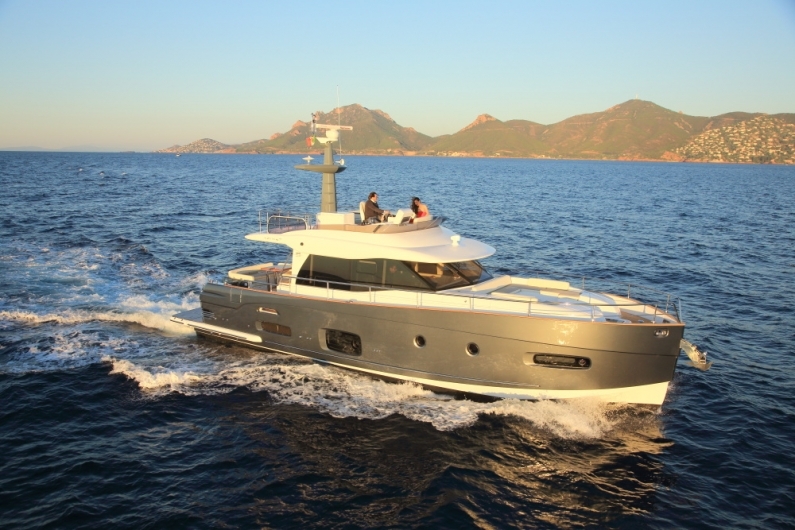 Forward are two independent helm chairs and aft to starboard is a well-integrated galley. 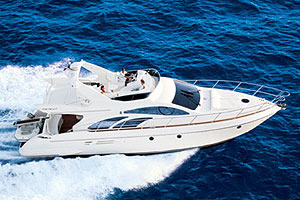 The lower level has a full-beam master amidships and three other cabins and heads. And did we mention the nice crew quarters? They even have their own stairs leading down from the galley. For more information visit Azimut, or take a look at some Azmiut Magellano listings.